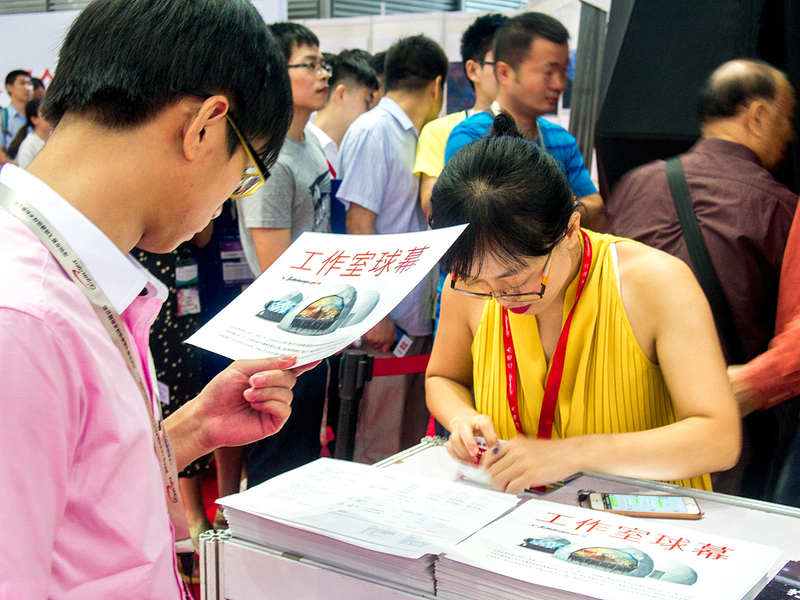 At the 18th China International Optoelectronic Exposition (CIOE) cutting-edge innovations from the fields as diverse as biophotonics, quantum communications, optics, and augmented and virtual reality technologies were showcased. 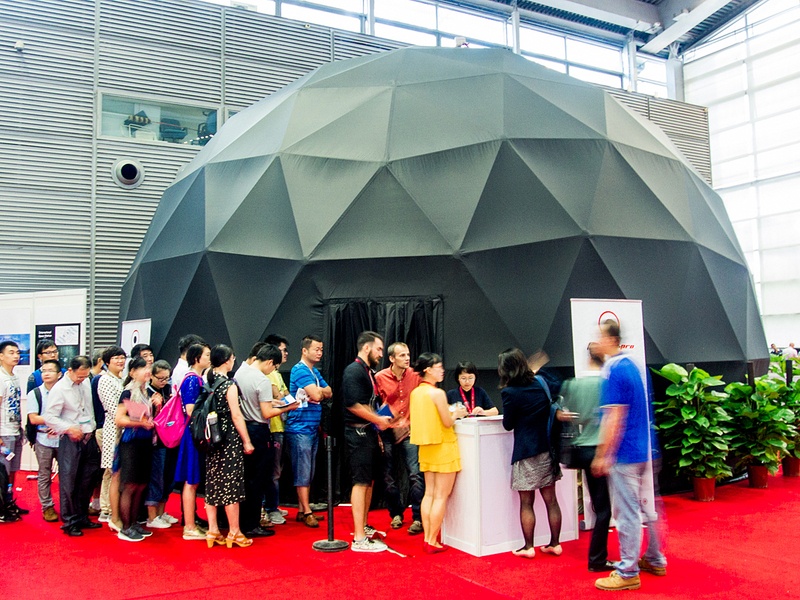 However, even amidst all this innovation, our 10 meter (33 ft) diameter closed dome was such a hit, it drew the attention of China Central TeleVision. 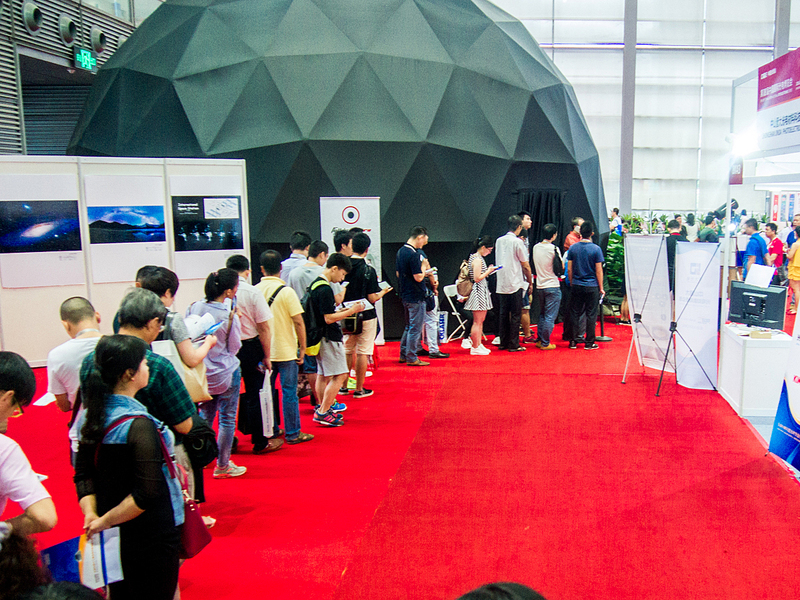 CCTV interviewed our staff to discuss the features and advantages of the Fulldome.pro system, the broad range of content available, and how the modern digital environment and the latest dome and projection technology makes fulldome cinema an ideal media platform for art, education, entertainment and science.